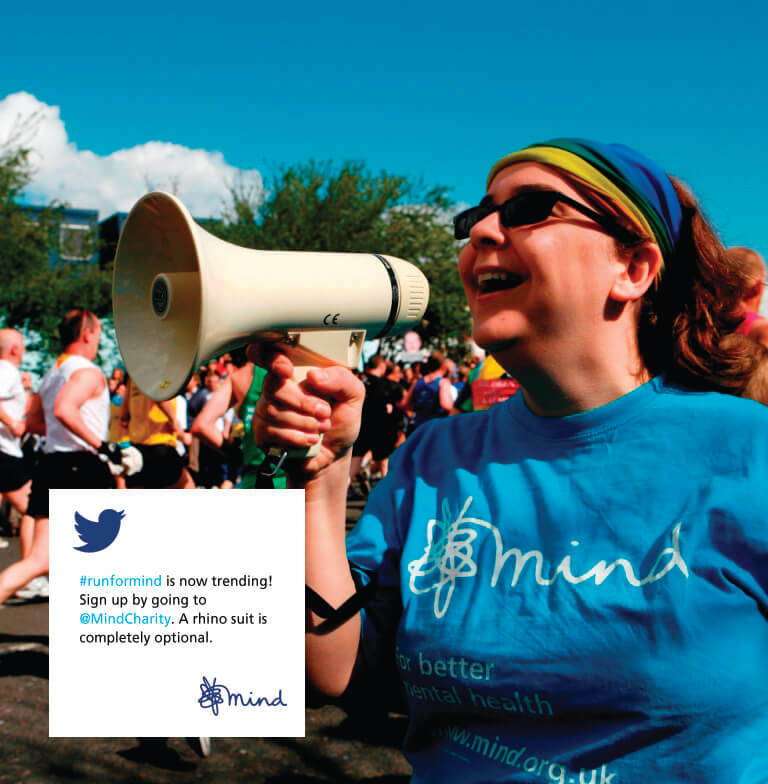 Mind is the leading mental health charity in England and Wales. For over 70 years, they have provided support to anyone experiencing a mental health problem and campaigned to improve services, raise awareness and promote understanding. 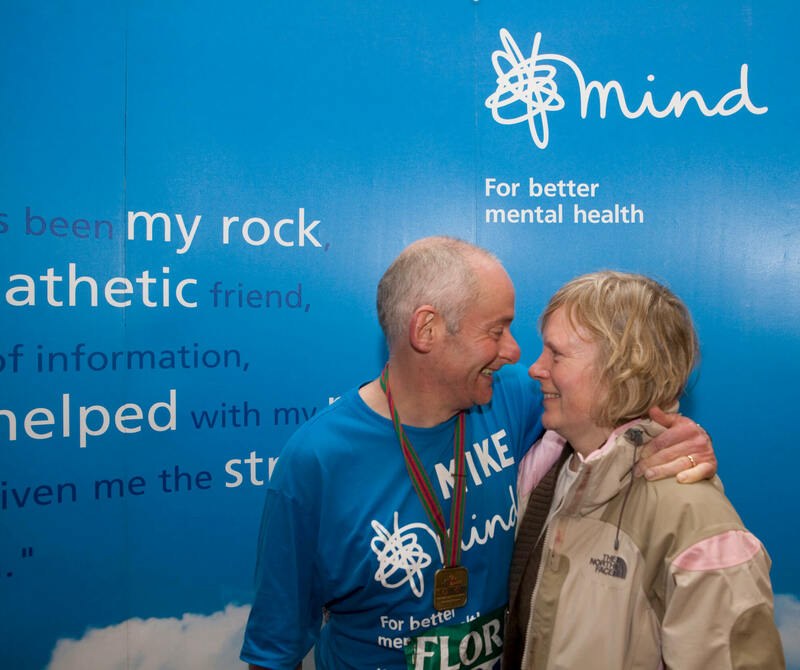 Mind is the leading mental health charity in England and Wales and is made up of a friendly bunch who do an incredibly important job. 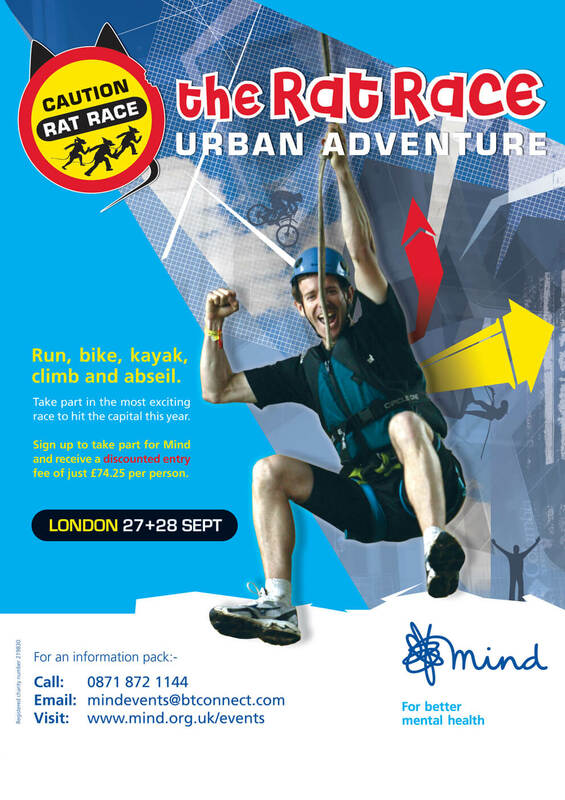 Mind offer a huge variety of challenge events, including marathon running, lake swimming, mountain climbing, skydiving, trekking and more. 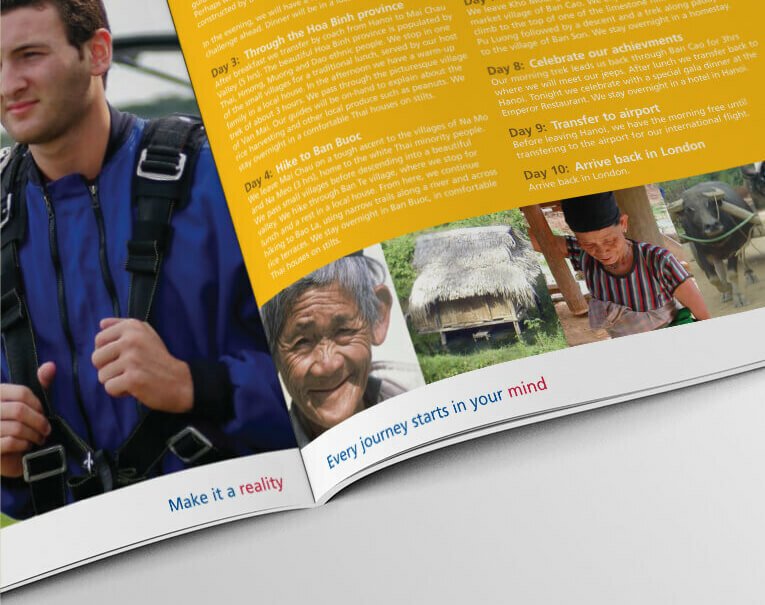 They rely, in part on this income, so a campaign to encourage participation is a key element of their marketing plan. 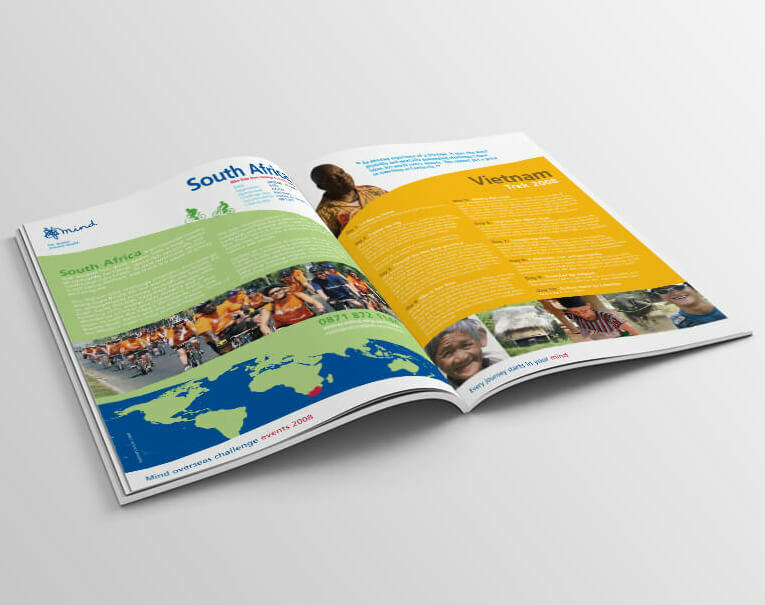 The brief called for an overhaul of their event communications which covered branding, tone of voice and strategy. 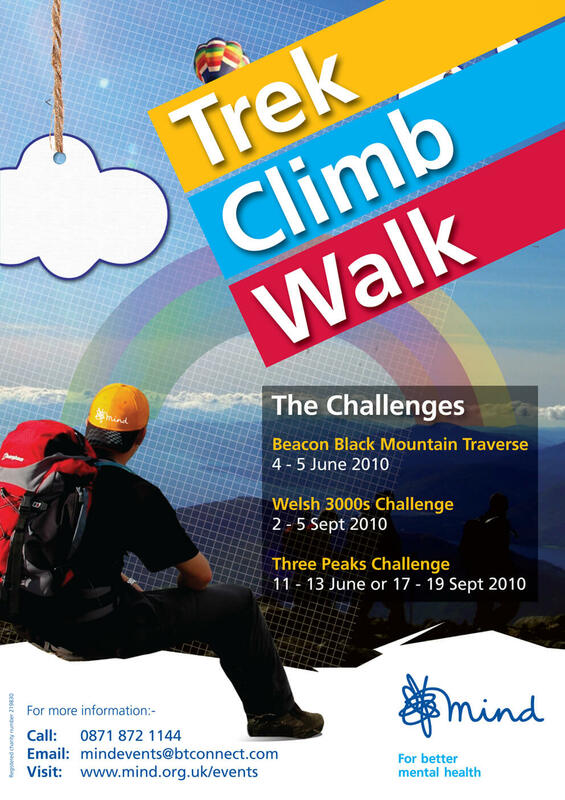 As a charity it was vital they achieved maximum mileage from these materials. 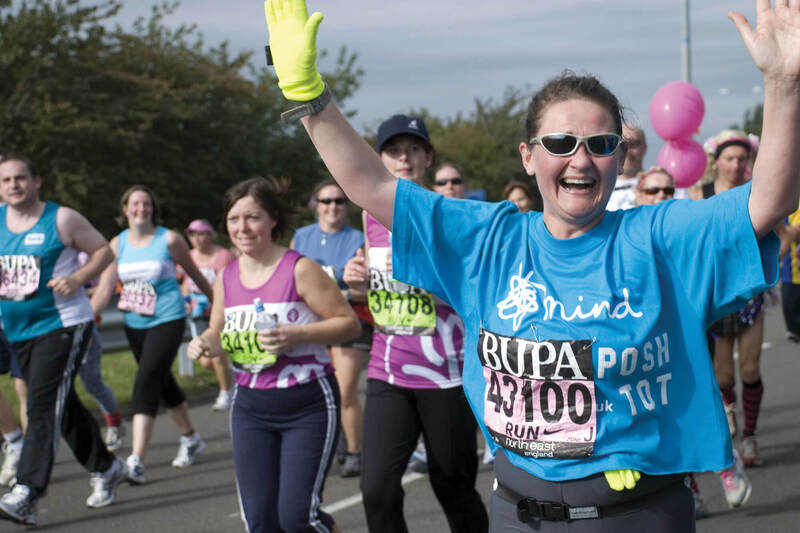 To increase Mind's visibility at events such as the London Marathon and the Great North Run, I designed a collection of banner stands and pop ups. These could be easily used a number of times to provide excellent value and impact. Participants were encouraged to take their photo in front of the Mind branded stand and share on social media, furthering their reach. 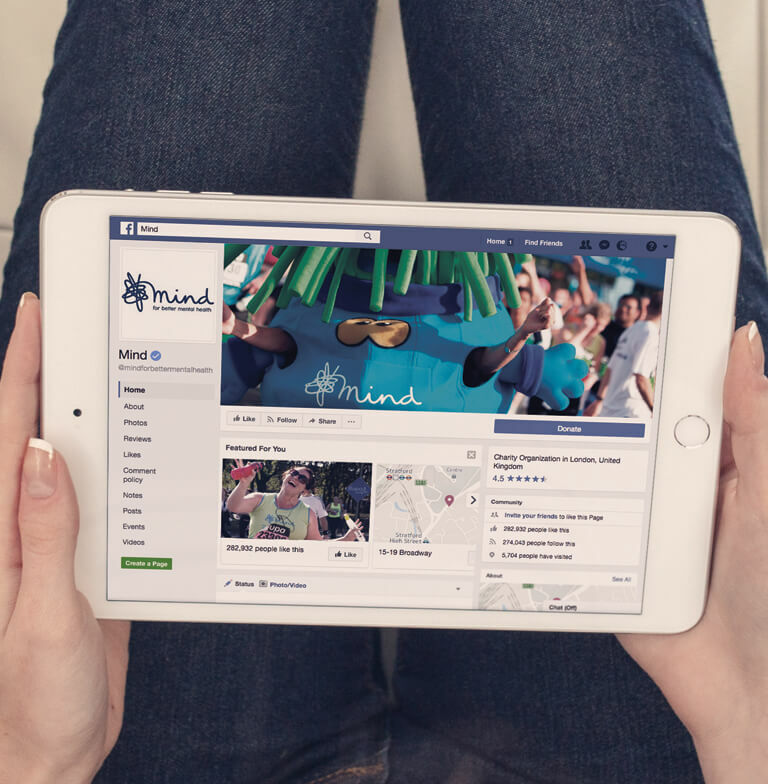 Blue and white are Mind’s key corporate colours and dominated their branding to that point. My approach was to bring their vibrant, secondary colour palette further to the fore and move the brand into a bright, positive space. 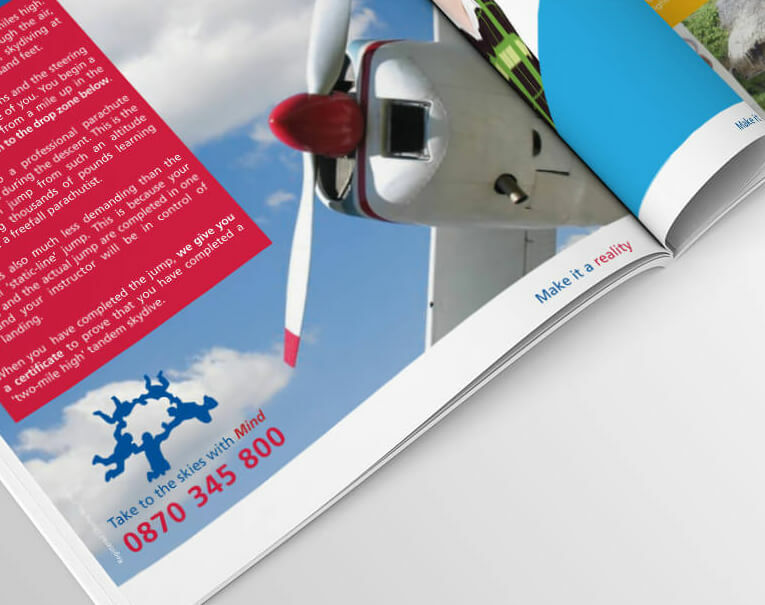 The layout style was kept deliberately fluid rather than following a stricter, template-like approach. Visual indicators were repeated throughout to tie everything together. 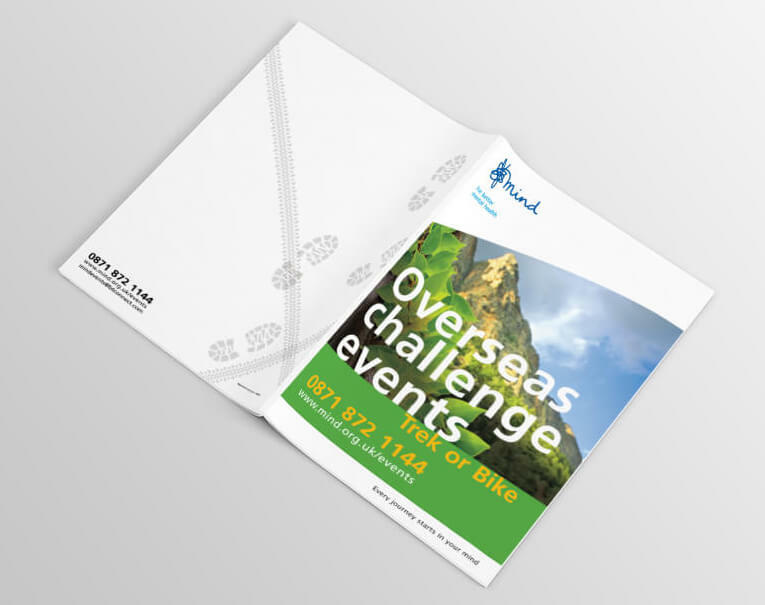 Information packs were created for each challenge event and reinforced with posters, print ads, banner ads, ATM screens and social media branding.